Anchorage, Alaska, is a celebration of natural splendor. Snow-topped mountains reach up into clinquant skies and create a majestic backdrop for the normalcy of life happening below. It's the meeting of two worlds in the state's largest city—the earthen grandeur that's existed for lifetimes and the contemporary bustle of the now. Straddling these worlds are Alaska Natives, in particular the tween and teen boys who, when they come of age, are expected to contribute to their communities and provide for their families. That, by historic definition, is what makes a man. Connected by blood to cultures as vibrant as the land itself, they're also living the experience of American millennials. Some come from households steeped in traditional Native values and customs. Others grow up in homes where those norms aren't norms at all. For many, the bridge between their dual identities is the Alaska Native Heritage Center. It's a place for Native youth to just be—to be understood, to be celebrated, to be connected. "Alaska Natives have survived in this state and this environment for more than 10,000 years, and there's a lot of truth and brilliance and knowledge and tradition in what we know," said Annette Evans Smith, the Heritage Center's president and CEO, who works closely with her small staff to guide the development of culturally enriching activities. "It's our job to instill those values and that knowledge into our young people so that we can create future Elders and tradition bearers to carry our cultures another 10,000 years." Since opening in 1999, the institution has been a house of knowledge for and about the state's major cultural groups: the Sugpiaq, the Yup'ik, the Athabascan. The Inupiaq, the Cup'ik, the Eyak. The Tlingit, the Haida, the Tsimshian, the Unungax. Interactive collections, workshops, and demonstrations feed the interests of more than 100,000 tourists each year, educating them about the Native peoples of Alaska. Youth programming employs art, expression, and athletics rooted in history to help solidify for young men who they are as Native people. 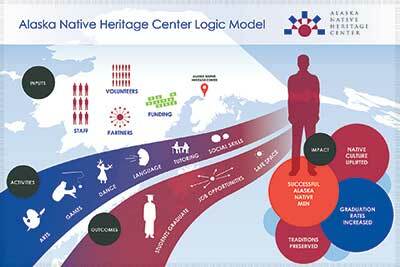 For many, the bridge between their dual identities is the Alaska Native Heritage Center. For boys between the ages of 15–19, the internal journey to full self-awareness and cultural pride can be complicated by external judgments. Native people make up 15 percent of Alaska's entire population—half of the 700,000 Alaska Natives who live in the state live in Anchorage—but public perception about them is still disproportionately informed by ugly stereotypes: They're drunks. They're transient. They're lazy. They don't work. They're not as smart. These stereotypes are most often born from their perpetuators' fear and laziness, but those stuck in the crosshairs are the ones left with the unfair burden of disproving biases. People nonetheless find reasons to authenticate those untruths, and either inadvertently or intentionally teach their children to believe them too, and then send those kids to schools where they infect the learning environment with that hand-me-down, prejudicial poison. For some young men who are American but not assimilated, it's just easier to distance themselves from, or flat-out deny, their Native heritage than to risk a situation in which someone else's racist baggage further complicates the adolescent experience. "A lot of times, Alaska Native students don't want to claim that they're Native because there's a stigma. They think, 'If other students know, they're going to think less of me,'" explained Steven Alvarez, director of arts and education at the Heritage Center. "If they come from a village and English is the second language, they're not able to comprehend what an urban kid would just take for granted. It's kind of like, what are you, stupid?" They hide their heritage because it's easier. Loren Anderson can personally relate. He's the cultural programs manager now, but once upon a time, he was a student himself. "I didn't tell the kids in school that I was Native. People would ask, 'Loren, what are you?' and I'd say, 'What do you think I am?' If I could pass for something else, I felt that somehow I succeeded. For a long time, I felt guilty or ashamed that I did that. But today," he said, "I realize why I did it and now I teach the kids." There's plenty to share with adults too, and what he and his team hope to do is thwart the need to feel shame about being Native. "You can cure ignorance. That's our mission. There will always be people who say 'Natives get free medical care' or 'Natives get free money.' I wish. That'd be awesome," Anderson joked. "We love people who are like, 'I used the word Eskimo. Is that okay?' We get to teach them. Then we teach the kids and then they teach anybody they can. That's a great thing." Honor your Elders. They are the ones who will teach you what you need to know. That beautifully altruistic system of beliefs has sustained Alaska Natives, but as their population increases—it's spiked twice in 25 years as people have moved from rural enclaves into Anchorage—so do critical concerns that require more personalized attention. The high school graduation rate for Native youth is just 54 percent, lower for boys than it is for girls. And, like so many other communities of color, young men are over-represented in the criminal justice system and cases of drug and alcohol abuse. Most tragically, the suicide rate for that group is 12 times the national average, exceeding epidemic proportions. It's not that these boys who commit suicide or are thinking about suicide don't feel anything, It's that they're so used to being told not to feel or not to show their feelings. But how can you not actually feel? The root of those challenges seems to lie in breaking through the stoicism that accompanies manhood in the Native community. "It's not that these boys who commit suicide or are thinking about suicide don't feel anything," Anderson explained. "It's that they're so used to being told not to feel or not to show their feelings. Stoicism was a coping mechanism. In order to get through hard times, men stopped showing their feelings. But how can you not actually feel?" To help stem the tide, the Heritage Center allocates grant funding to bring in trained counselors who provide vocational and educational counseling services for the young men as needed. They've also developed partnerships with substance abuse organizations to extend the availability of resources and address the core issues that ultimately lead to internalization and acting out. Freeing these young men to talk about their emotions frees them in so many other ways. Sometimes they'll find peace without the aid of alcohol or they won't vent their unchecked anger on loved ones at home. Other times, suicide won't even be a consideration and, in time, their concept of masculinity becomes more tied to the ability to express feelings than the determination not to express them. The opportunity to open up at the Heritage Center, where the young men won't be judged or condemned, is literally life-saving. The challenges are clear, but the strategy to answer them has proven effective. In the 14 years the program has been operating, the graduation rate for participating students has climbed to the 80th percentile. Seated in an exhibition hall, surrounded by living artifacts that visually tell the stories of Natives statewide, Isaiah McKenzie has a confidence and eloquence that belies his 15 years. He's not new to the activities offered at the Heritage Center. He's been attending since middle school, he's performed as a drummer and dancer, and, this past summer, he worked on-site in a paid internship position. But it's his first year in the afterschool program that serves high school students, and so far, he's enjoying himself. "It's really awesome to learn who your people are and where you're from. It's a privilege," he added, nodding in agreement with his own thoughts. "I think the most powerful thing I've learned is respecting and providing for others. It's something that we needed to do a long time ago and something that we need to practice a lot more today. I'll carry it with me as I grow up." Any adult who has ever tried to share any information to any teenager in any capacity can appreciate the magnitude of his statement and its accompanying enthusiasm. The Heritage Center buses students from high schools in the Anchorage School District to participate in programming every Tuesday through Friday and transports them home at the end of each day. Those young men have any number of options for extracurricular activities in their respective schools and communities, but they look forward to the opportunity to express and engage in one of three available classes at the Heritage Center, which offers Native art, dance, arctic athletic games, group discussion opportunities, and homework assistance. It's our job to instill those values and that knowledge into our young people so that we can create future Elders and tradition bearers to carry our cultures another 10,000 years. Middle schoolers participate in the Walking in Two Worlds program, designed to shift the downward course of at-risk students facing failure and dropping out because of poor adjustment, high absenteeism, or behavior problems. The goal is to get them back on track academically, but staff members trained to work specifically with young Native men also work to strengthen the social and emotional skills that mold a young man's positive identity. Inside the Heritage Center's main hall, just steps from the area where Isaiah and his fellow dance group mates will welcome Native students visiting from Hawaii, another band of teenagers has commandeered the floor to practice traditional Native Games. These athletic challenges test strength, balance, endurance, and stamina, historically prized as much in their demonstration of skills for survival in the Alaska wilds as they are elite sporting feats. Those who do well can compete in the Anchorage Native Youth Olympic Preliminaries with the chance to advance to state-level games and, if they're really good, the World Eskimo Indian Olympics. On this day, a young man in bright yellow shorts is demonstrating the basic tenacity that lives in every champion. He's attempting the one-foot high-kick, one of the more difficult events in the Games that requires its executor to scissor jump and touch a hanging ball with one foot. No trophies or accolades are on the line. He's just determined to do it for his own sense of personal achievement. He gets a running start, cheered on by the applause of his friends, attempts the move, and misses. He regroups, tries again, and misses once more. And again. And again. By the time the kids call it a day, he hasn't yet hit his target. But it isn't the completion of the feat that defines his success; it's his refusal to give up. The support and encouragement he gets from the other young people around him, who invest in the realization of his accomplishment as much as they do their own, is telling. Community is alive here. The rite of passage ceremony is a culmination of experiences, the crowning achievement of a boy with the personal qualities that signify his readiness to be introduced to his village and Native community as an adult. Anderson gives an example: when a boy shoots his first moose as part of the traditional series of events leading up to manhood, he isn't allowed to keep any of the meat. He's expected to give it all away. It's an exhibition of generosity, selflessness, and responsibility to others that, Anderson says, fulfills another Alaska Native-held principle: children only think of themselves; adults are supposed to think of others. The test of proving oneself worthy to be called a man gives those preparing for the journey a chance to grow personally and, at the same time, connect with their Elders. The rite of passage experience is an intergenerational one, and its value isn't lost on the young people seeking wholeness in their Native identity. "A couple of years ago in our high school program, we conducted a survey and asked our students, who are 14–18, 'What do you need from the Heritage Center?'" Evans Smith remembered. 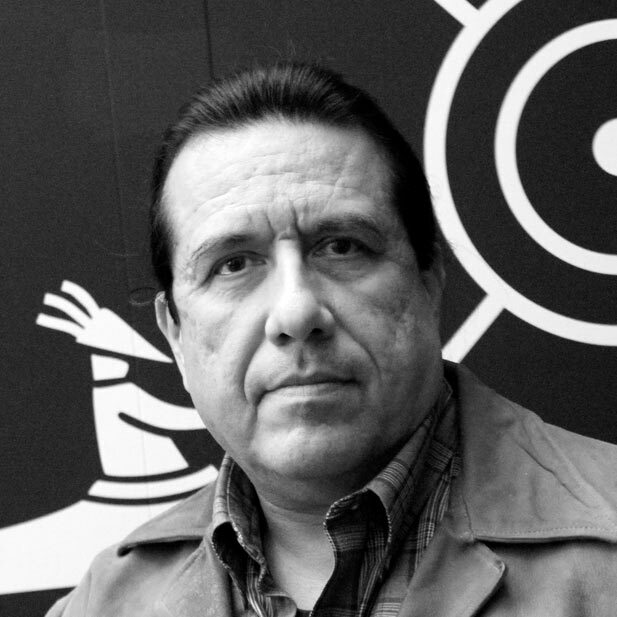 "They told us, 'Number one, we need time with the Elders and number two, we need language.' Our youth are hungry for this connection, to know who they are and where they come from. And we firmly believe that when they do, they will do better in life." It's been 90 years since Raphael Jimmy was a boy. A lifelong resident of one of the rural villages that surround Anchorage, he moved into the city four years ago to be closer to healthcare providers. He's proud of his mentor role at the Heritage Center. When he came of age, he learned the characteristics of manhood from his father—a tradition in itself—and now, in his seasoned years, he's eager to pass along nine decades' worth of wisdom to young men who are looking to him to help them better understand Alaska Native culture. In an additional piece of magic, he's learned from the young men in the process of teaching them. "I was working with young people, teaching them simple Yup'ik words like 'hello' and 'how are you,' and addressing them in their traditional names," said Jimmy, speaking in his Native language, translated by an interpreter. "But at the same time, because I don't have Western education, I learned how to speak some English from them." It's always been the role of Elders to help young people, but the pairing also gives young people the chance to return the favor. On the day of the rite of passage ceremony, two boys are each dressed in a brown kuspuk, a garment traditionally worn for the occasion. Each sits timidly on the stage of the Heritage Center's main hall. After brief comments by Jimmy, who is visibly joyful about the day's events, they perform a dance with beautifully feathered fans created by Jimmy and his wife who, at 88, is also dancing in the ceremony. The boys start off timidly at first but, as the drumming intensifies and their initial jitters fall away, they take in the gravity of the experience and get into it, even smile. It's a big day for them, and hopefully a preview of the accomplishments to come for the many other young men who are expected to follow them. 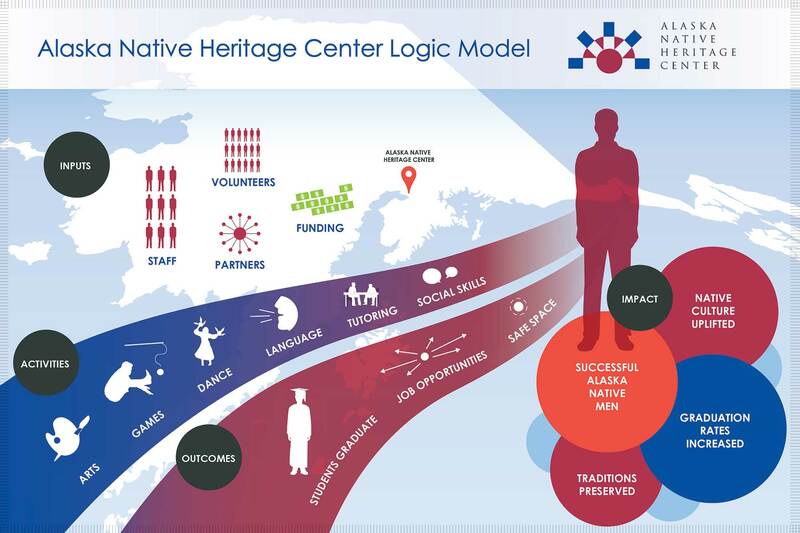 In the miracle and masterpiece that is Alaska itself, that pride in continuing the circle of tradition and love and community for the state's most resilient population is part of the Heritage Center's handiwork. What have been the most effective methods of recruiting youth into your programs? During student registration week, we set up tables at each of the Anchorage School District high schools. 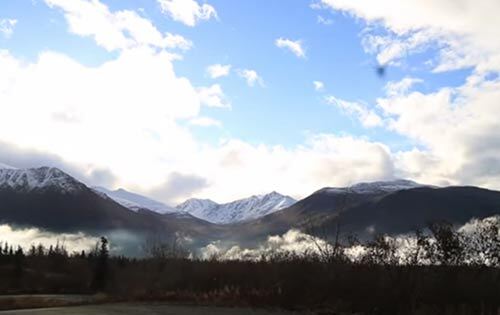 We also connect with Cook Inlet Tribal Council's teachers and counselors at the schools where they have a presence. Our dance group performs extensively at schools and throughout the community and is one of our marketing tools for the program. Our Native Games team also competes at the Native Youth Olympics and usually is one of the top-medaling teams. This also markets the program. Really, the students in the program are one of our best marketing tools. What key opportunities do the young men in your program have to develop leadership skills? Upperclassmen mentor younger students in each of the program's disciplines. Also, students participate in the annual Alaska Federation of Native Youth and Elders Conference, where they can plan and deliver workshop sessions to their peers. Program students are given priority for hire as cultural host interns for the summer season tourism program. They receive an intense two-week training and then continue training throughout the summer. Each student also goes through a robust cultural competency curriculum. They have the opportunity to come back each summer with the potential to become program leads, progress to supervisory roles, and can eventually become year-round employees. How do misperceptions of Alaska Native peoples create challenges for the young men in particular as they become more involved in their community? Most people outside of Alaska think that all Alaska Natives are "Eskimos." The word "Eskimo" is not a Native word. It came from the French Canadians and translates to "eaters of raw meat." What most people think of as an Eskimo, is really an Inuit. Since these terms have been in use for centuries, we have come to use them as well. The reality is that in Alaska there are three separate indigenous peoples: Indian, Aleut, and Eskimo—11 distinct cultures and 20 different languages. The current education system assumes that all people learn the same way. Alaska Natives learned through experiential activities with mentors, extended family members, and Elders. This is ingrained into our DNA and not all young Native people can learn what they need to know through the usual "Western" way of teaching.